The author will begin with the on-growing percentage of women representation in House Representative and Senate throughout the year. Second, the author will examine the on-going number with the effectivity of their representation in the development of decision-making process of the American politics. Third, the author will give a further explanation on why giving women opportunity to contribute on the political sector does matter for the development of nation. In all these sections, the author will specifically focus on using liberal feminist perspective to explores the phenomenon, which will be supported by the argumentations of J. Ann Tickner from her book “Gender in International Relations” and also will explain why women posititon as well as the need to remove the gap between men and women does matter for decision-making and development of nation and try to give an explanation on how women role will make some changes in the system. In conclusion, the author believe that an equal and equitable participation of women in public life and political institutions is crucially essential to building, constructing and sustaining strong, vibrant, responsive, inclusive and transparent democracies, and thus the participant of women local, national and international community should be achieved. The current state of women’s role in the United States politics are emphasizes on-growing percentage of women representation in House Representative and Senate throughout the year. With the wake of feminism on the 21st century, debates over political representation in the global governance becomes pervasive, especially in the United States. Definitions of representative and role tend to focus on opportunities of participations in the political sector (A. Parry, 2005). Since the 95th Congress (1977–1978), the number of women serving in Congress or both of House Representative and Senate has increased, though in a few occasion has been decreased. During the 95th Congress, the total number of women serving in Congress (106 in senate and 445 in the House Representative) is only 19 (0 in Senate and 19 in the House Representative) or approximately only 3% of the total representatives. The largest increase of the women representatives occurred during the 102nd Congress (1991–1992) the total number of women serving in Congress (105 in senate and 449 in the House Representative) rose from 32 (4 in senate and 28 in the House Representative) to 54 (7 in senate and 47 in the House Representative) in the 103rd Congress (1993–1994) with the total number of the United State Congress (104 in senate and 448 in the House Representative), an increase of 69%. This is occurred due to the large electoral of women in the 1992 election and thus, be known popularly as “the Year of the Women” (Cook, Thomas, & Wilcox, 1994). As in 114th Congress (2015–2016), the total number of women serving in Congress (100 in senate and 447 in the House Representative) is increased to 108 (20 in Senate and 88 in House Representative) which make almost 20% of the total representatives in the United States Congress (Center for American Women and Politics, 2015), and in 115th Congress (2017–2018), the total number of women serving in Congress (105 in senate and 451 in the House Representative) is decreased to 107 (23 in Senate and 84 in House Representative). With all these numbers being stated, the United States has not kept pace with the fact that 90 countries now are ahead of the United States in the percentage of women’s role in the national legislature (Lawless & Fox, 2012). Given the real gender gap in the political ambition, the United States is yet to conduct a form of reality which women and men are equally given the same opportunity to aspire their voices. Thus, the progress to increase women’s presence in the positions of political power should be made. The author will analyze it through liberal feminist perspective which will be supported by the argumentations of J. Ann Tickner from her book “Gender in International Relations” and seeks to answer the question of (1) “Why the gap between men and women still occurs?” and (2) “What’s the good in the women representation and how does it make a difference to the work?”. The reason why the gap between men and women in U.S. Congress still occurs and examine the consideration of women’s voice to be heard with implying the basic of liberal feminism and some of idea from J. Ann Tickner’s book “Gender in International Relations”. On her book, she delivered a feminist perspective to examine the condition of the global security, how it constructed and why women are excluded from foreign policy decision-making which she came up with some ideas: (1) Masculinity is pictured to be primarily requirement to have a power position in the government; (2) Gender in the realm of International Relations are too based on a set of cultural that had been rooted by binary distinctions such as public versus private, objective versus subjective, self versus other, reason versus emotion, autonomy versus relatedness and culture versus nature; (3) Generalization of men characteristic are related to strength, power, autonomy, independence and rationality; (4) Women characteristic are related to naive, weak, too emotional and unpatriotic human being. Ann Tickner concluded that women are powerless and their voices are merely being heard in any circumstances as there were boundaries that keep women outside of the international politics and any related decision making stances. She also described the basic of liberal feminism where liberal feminist believes that boundaries that held women away from their right should be abolished(Tickner, 1992). Meanwhile the basic fundamental of liberal feminism claims that (1) Women and men have common humanity supersedes so they should have the same right of work opportunities (Lorber, 1997); (2) state should ensure that the basic structure of society distributes the benefits and burdens of social cooperation fairly, that is, in a manner that women as well as men could endorse(Alstott, 2004); (3) State has an important role to play in promoting equal conditions (Cudd, 2006). First, identified the United States Single-Member-District system (SMD) with a First-Past-The-Post (FPTP) under which the one candidate obtaining the most votes in one district elected (Staino, 2006). The rule appears to only advantage men because men have the number and strong majority geographic of representation in each district, as for women will do better in multi-member districts with proportional-representation (PR). According to liberal feminism, this is one of the example that men have more power in government system which have been rooted under the cultural system of political parties and general elections. It also shows that state government fails to promoting equals conditions under which men and women should have stand out as an equal and not based only by the number. Secondly, Campaign Funding. Unlike countries like Australia, Canada, France, Germany and New Zealand, in the United States there’s no public funding for campaign assistance, means that candidates should pour their own money into political campaigns. The thing is, when money dominates politics, women will most likely abstain or either lose because women are having lower incomes than men for many reasons such as gender gap in pay, occupational segregation and disproportionate unpaid family care (Bowles, Babcock, & and Lai, 2005). Moreover, women of color tend to have less access to work opportunities than white women and are generalized in low-wage (Higher Heights and CAWP, 2014), to conduct a more diverse set of elected officials, state must intervene to create a better job conditions under which all women of color get an equal salary with men so that women can have an ability to fund their own campaign. Liberal feminists believe that to create an equal condition, state must play the role to construct a structure or system that can distributes benefits fairly. Third, there is stereotype of Gender Role. As Tickner explained on her book “Gender in International Relations” that men are characterized by masculinity with leadership and strong, meanwhile women are characterized by weakness and incapability to be political leaders. This stereotype is happening in the United States not only through society but also through the influence of media. Media continue to influence on how people see women as objects who are usually passive, young, thin, beautiful, dependent and often incompetent and dumb. Research studies based on identical political messages have shown that women candidates were connected to certain “female themes” such as social issues, and how men where considered more knowledgeable on “male issues” such as economic issues (Kahn, 1993). Amy Alexander argued, a lack of women in high-powered positions may affect both men’s and women’s perceptions of women’s ability to rule (Alexander, 2012). Fourth, Family Time Constraints. It happen that the distribution of family care responsibilities time continue to be uneven between men and women. Women spend more time than men in home to take care of kids and the home itself. Research studies demonstrated that women entitled to “motherhood penalty” relating not just to the time, medical care and effort of pregnancy and child birth but also across fields such as the persistent tendency of women to do larger share of childcare as the child grow (Hewlett, 2007). It can be concluded and supported by some scholars that the boundaries for women to run in political field are still extremely occurs such as the gender role stereotyping, family time constraints and the boundaries of rotten political system itself. Research shows that women’s work across party lines and more collaborative than men, women are more committed to peace building and post-conflict reconstruction, women are more advance on negotiating and last women tend to prioritize education, health and development related to the welfare of society. Study research shows that women’s leaderships style can be applied to democratic ideals and that women tend to work more collaborative way than male colleagues (Rosenthal, 2001). It shows that women are able to create good environment in the decision-making process, and thus women can work across party lines, even in highly partisan environments such as for example, 25% of women lawmakers in the United States cite women from the opposition party as key supporters of their gap legislation, while only 17% of male lawmakers name did similar approach (Center for the American Woman and Politics (CAWP) , 1991). It means that women can adjust their work and adjust to the environment without seeing people from their party background. Moreover, according to Europe–Asia studies regarding the women’s role, has indicate that in Russian Federation, female legislators were able to set aside party and ideological differences and disputes to promote legislation of which benefiting children and families on a multi-partisan basis. They proposed policy that will increase benefits to citizens with children, reduced taxes for families with many children, extended pregnancy benefits and parental leave, created penalties for domestic violence and promoted equal rights for men and women (Shevchenko, 2012). Lastly, study research shows that when women sit as politcial head leaders, they tend to prioritizing public health, education and infrastructure related to make countries have a higher standard of living and better development of social welfare. Women tend to be more focusing on delivering the democracy within the nation. According to Center for American Women and Politics (CAWP) research, 14% of women legislators in the United States named healthcare as a top priority issue and in the other hand, there’s only 6% of male legislators who viewed healthcare as a top concern (Center for American Women and Politics, 1991). In addition, in places as diverse as Morocco, Croatia, Rwanda and South Africa, an increase number of female lawmakers bring their countries to be more concerning about; anti discrimination, family codes, domestic violence, inheritance and child support and protection. “Study after study has taught us, there is no tool for development more effective than the empowerment of women. No other policy is as likely to raise economic productivity or to reduce child and maternal mortality. No other policy is as sure to improve nutrition and promote health, including the prevention of HIV/AIDS. No other policy is as powerful in increasing the chances of education for the next generation.” (Moccia, 2007). Parry, J. (2005). Women’s policy agencies, the women’s movement and representation in the USA. In J. Lovenduski, C. Baudino, M. Guadagnini, P. Meier, & D. Sainsbury, State Feminism and Political Representation (pp. 239-259). New York, United States: Cambridge University Press. Alexander, A. C. (2012). Change in Women’s Descriptive Representation and the Belief in Women’s Ability to Govern: A Virtuous Cycle. Politics & Gender Journal, 8, 437-464. Alstott, L. (2004). No Exit: What Parents Owe Their Children and What Society Owes Parents. New York, New York, United States: Oxford University Press. Bowles, H. R., Babcock, L., & and Lai, L. (2005). Social incentives for gender differences in the propensity to initiate negotiations: Sometimes it does hurt to ask. In H. R. Bowles, L. Babcock, & L. and Lai, Organizational Behavior and Human Decision Processe. Center for American Women and Politics. (1991). The Impact of Women in Public Office: Findings at a Glance. New Jersey: The State University of New Jersey. Center for American Women and Politics. (2015). 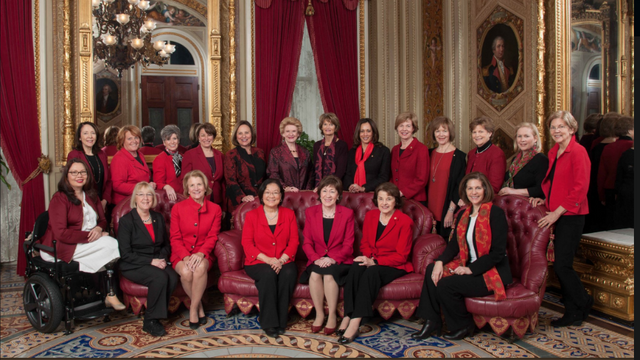 Women in the U.S. Congress 2015. Rutgers University, Eagleton Institute of Politics. New Brunswick: Center for American Women and Politics. Center for the American Woman and Politics (CAWP) . (1991). Reshaping the Agebda: Women in State Legislatures. New Jersey: The State Univeristy of New Jersey. Chinkin, C. (2003). Peace Agreements as a Means for Promoting Gender Equality and Ensuring the Participation of Women. Women Watch. Cook, E. A., Thomas, S., & Wilcox, C. (1994). The Year of the Woman: Myths and Realities. Boulder, Colorado, United States: Westview Press. Cudd, A. (2006). Analysing Oppression. New York, New York, United States: Oxford University Press. Gender (NCRW), CAWP, and Center for Responsive Politic. (2014). Money in Politics with a Gender Lens. Hewlett, S. A. (2007). Off-Rams and On-Ramps: Keeping Talented Women on the Road to Success. Boston: Harvard University Press. Higher Heights and CAWP. (2014). Status of Black Women in Politics. Rutgers University. Kahn, K. F. (1993). Gender Differences in Campaign Messages: The Political Advertisements of Men and Women Candidates for U.S. Senate. Political Research Quarterly. Lawless, J. L., & Fox, R. L. (2012, January). Men Rule: The Continued Under-Representation of Women in U.S. Politics. 1-2. Lorber, J. (1997). The Variety of Feminisms and their Contribution to Gender Equality. 97(97). Moccia, P. (2007). The State of the World’s Children – 2007. Rosenthal, C. (2001). Gender Style in Legislative Committees. Women & Politics, 21(2), 21-46. Shevchenko, I. (2012). Who Cares About Women’s Problems? Female Legislators in the 1995 and 1999 Russian State Dumas. Europe-Asia Studies, 54(8). Strickland, R., & Duvvury, N. (2003). Gender Equity and Peacebuilding: From Rhetoric to Reality: Finding the Way. The Institute for Inclusive Security. (2009). Strategies for Policymakers: Bringing Women into Government. The Institute for Inclusive Security. Tickner, J. A. (1992). Engangered Insecurities: Feminist Perspectives on International Relations. In J. A. Tickner, Gender in International Relations: Feminists Perspectives on Achieving Global Security. New York, New York, United States: Columbia University Press.